Grave Warnings is a compact, evocative book of horror stories, with five authors penning short, punchy tales of terror. Although the title and cover to the book would suggest that this is a collection of ghost stories, it’s more varied than that. Although ghost stories do feature, the five tales cover an impressive array of styles and genres between them. If there is one thing that links the stories, it is that the true horror is often not at the hand of something supernatural, but is very human in origin. The collection opens with “Deceased Estate” by Sarah Parry, a very effective story that sets the grim tone for the book. Parry cleverly shifts the storytelling from light and conversational to desperate and horrific, creating a chilling tale with a hint of a modern Lovecraftian vibe. In spite of the inhuman monstrosities it hints at, “Deceased Estate” is a warning on the perils of unchecked greed. The theme of avarice continues with Craig Charlesworth’s “The Dumb Show”, the most traditional ghost story in the collection. A fun pastiche of Victorian-era short stories, Charlesworth’s story is a penny dreadful that sees money-hungry men try to use a haunting to their own financial advantage, even as one tries, or claims to try, to turn over a new leaf. The biting final scene proves that it is the living that present the most to fear. “The Specimen” by Jodie van de Wetering is a brief interlude between the heavier stories, and introduces a man whose unwholesome pastime leads to his becoming truly lost to nature. It’s the shortest but most immediately potent story, simply and effectively told. Hannah G. Parry presents “The Citizen”, an unassuming title for a disquieting and powerful story. Although it is a ghost story, “The Citizen” inverts the usual conception of a haunting in order to make her protagonist question his choices. It’s an unsettling tale of cowardice and brutality, emotions so easily entwined, set against the very real, very human horror of revolutionary France, when Paris was, not for nothing, known as the Land of Fear. This story is my personal highlight of the book. Finally, “Vacancy” by Hamish Crawford brings us back to seemingly ordinary life, with a story that makes us question the protagonist’s sanity as he relates the story of how his life changed when he took in a new lodger. With only a hint at something supernatural, “Vacancy” draws on some of the same concerns as “The Citizen”: that we, as men, can commit acts we never thought we were capable of. Did you purchase a copy of the Sapphire & Steel Omnibus, or Grave Warnings? If so, please sum up what you thought of the book in one sentence and email it to us at: penciltippublishing at shaw dot ca. 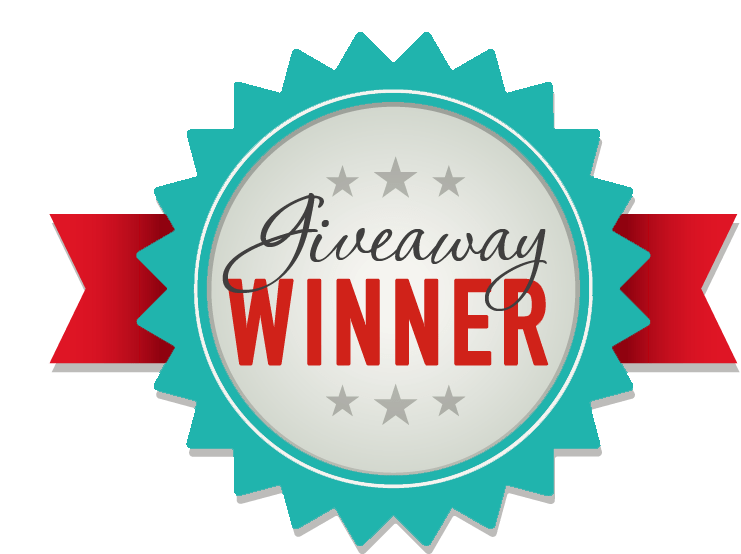 The top 3 will be used as promotional soundbites for the book. Hey, if any of you reside in Queensland Australia, you may be interested in attending this special event in Rockhampton on Friday February 24th. 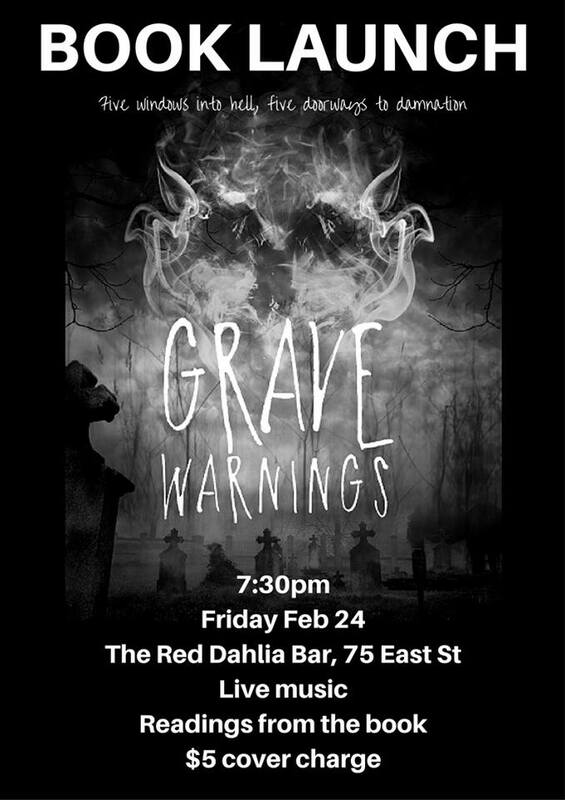 Grave Warnings author Jodie van de Wetering is hosting a special launch night at the Red Dahlia Bar in Rockhampton Queensland. Join us for a spooky night on Friday, February 24 featuring haunting live music, and top storytellers sharing tales of the living and the dead. We’re having a party to celebrate the launch of Grave Warnings, a collection of horror fiction from indie outfit Pencil Tip Publishing. There’s a $5 cover charge will help cover our operating expenses for the night and pay our artists, contributing to CQ’s arts economy. 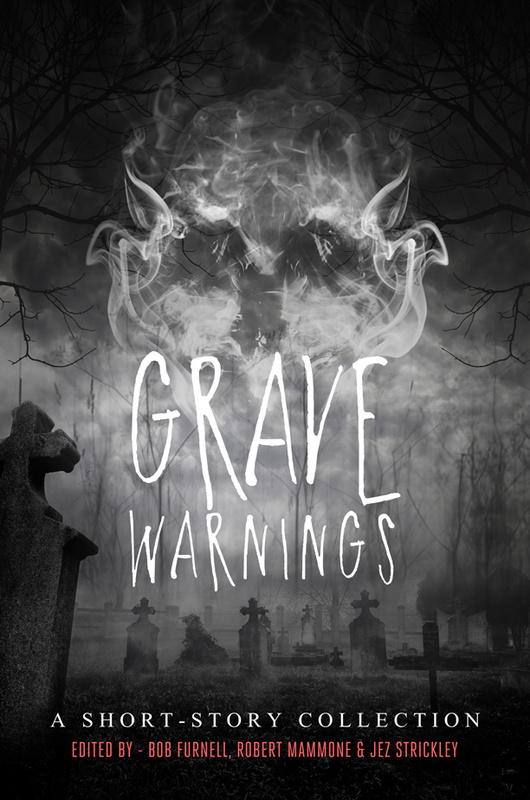 Copies of Grave Warnings will be available for purchase.